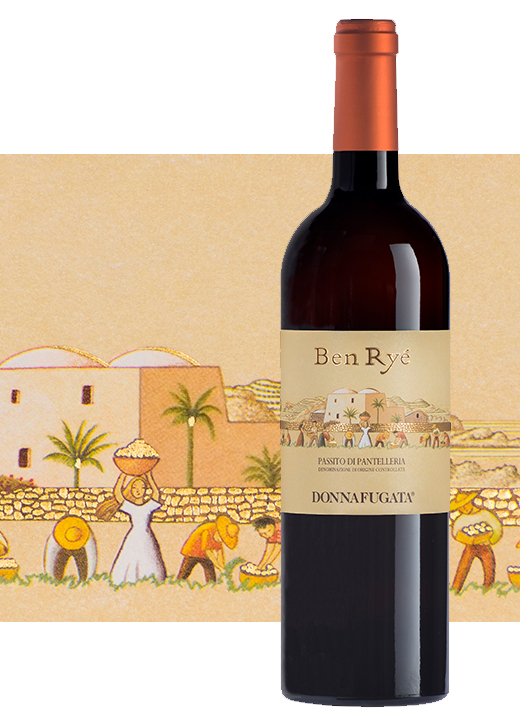 'Ben Ryé' by Donnafugata, is synonymous with Passito di Pantelleria, one of the most extraordinary Italian meditation wines. Obtained from Zibibbo grapes, vines cultivated as a "bogus tree" recognized by the UNESCO World Heritage List. " 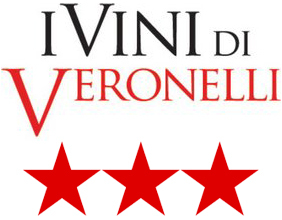 Complex and enchanting is among the most appreciated Italian sweet wines in the world. 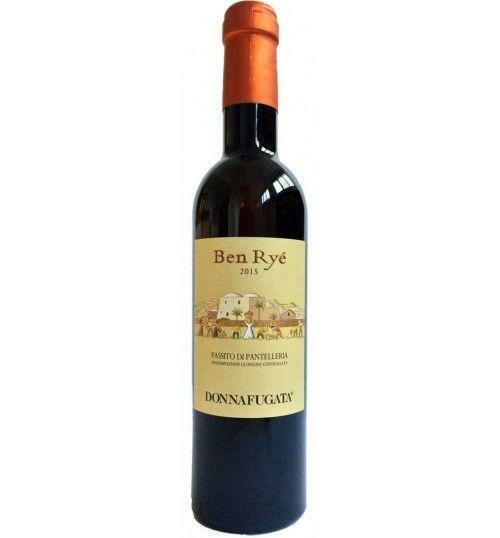 THE WINE 'Ben Ryé' by Donnafugata , is synonymous with Passito di Pantelleria , one of the most extraordinary Italian meditation wines. Obtained from Zibibbo grapes, vines cultivated as a "bogus tree" recognized by the UNESCO World Heritage List. " 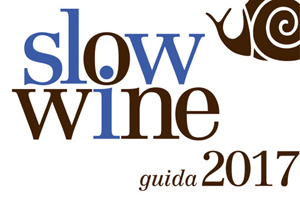 Complex and enchanting is among the most appreciated Italian sweet wines in the world. Curiosity From the Arabic term "Son of the Wind" because the wind sweeps constantly around the grape clusters on Pantelleria. And the island's winds bring with them a profusion of fragrances so powerful that you can touch them. An author label telling the love, the care and the effort of heroic viticulture on an island unique and fascinating. A fresh and enchanting portrait that reveals its essence. THE COMPANY The name Donnafugata, literally ‘woman in flight’ refers to the history of Queen Maria Carolina, wife of Ferdinand IV of Bourbon, who fled Naples in the early 1800s on the arrival of Napoleon’s troops, seeking refuge in the part of Sicily where the winery's vineyards now stand. This event inspired the Donnafugata logo, the effigy of a woman’s head with windblown hair found on every bottle. It was Sicilian author Giuseppe Tomasi di Lampedusa in his novel Il Gattopardo (The Leopard) who gave the name Donnafugata to the country estates of the Prince of Salina. The estate was where the queen stayed, and it now holds the winery’s vineyards. THE WINERIES Donnafugata believes that great wine reflects the land of its origin. Nature of the soil, exposure, altitude, climat and vines are the principle variables for producing wines which express their belonging to unique terroirs. After choosing the right grapes for a terroir, targeted viticulture carefully and sensitively “reads” the vineyard in its interaction with the environment to bring the grapes at their qualitative peak. Frequent on-site grape tastings make it possible to pinpoint the ideal time for harvesting each individual vineyard. Vinification processes use simple technology respecting the integrity of the grapes, musts and wines. Through continual tastings the technical staff checks on sensorial goals linked to the fruit and the terroir. Intervening on the processes underway in vineyard and cellar, year after year precision enology redefines the boundaries of quality. 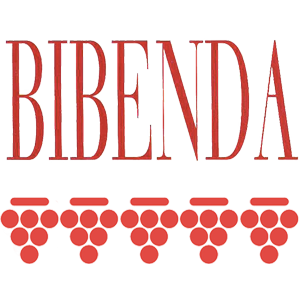 The staff is composed of close-working experts (agronomist, enologist, quality-control manager, cellar personnel and vineyard overseers) who accompany the production process to ensure that nature takes its course in the best. Contessa Entellina The Contessa Entellina winery is located in the charming countryside of western Sicily, where vineyards are an integral part of the landscape. Donnafugata cultivates in 10 different terroirs a plurality of native and international varieties. A winegrowing choice to valorize the particular features (soil, altitude, exposure) of the different areas and produce wines of personality, fruit character, elegance, and finesse. Pantelleria On Pantelleria the Donnfugata winery and vineyards blend harmoniously into the landscape and the unique agricoltural setting of the island of volcanic origin, lying between Sicily and Africa, it is a rare example of heroic viticulture. The landscape reflects the hard labor required to create terraced plots and dry-stone walls in order to cultivate vineyard shaped by the wind. Donnafugata’s vineyards, where Zibibbo grapes are cultivated, are located in 12 districts (contrade) of the island differnt in soil, altitude, exposure and age of the plants (some vines are more than 100 years old). Khamma winery, example of sustainable architecture, has a technologically advanced equippement. The Zibibbo harvested in the different districts are processed separately to respect and enhance the plurality of viticoltural contexts. Marsala The old family cellars are the strategic base of the company, site of refinement and bottling for Donnafugata wines. The Marsala cellars, built in 1851, are a living example of industrial archaeology. The layout of the ‘baglio’, a typically Mediterranean warehouse, has been retained and features a spacious courtyard adorned with citrus and olive trees, as well as trussed wooden ceilings, the work of master carpenters of bygone times. Today, it houses a dynamic, productive enterprise which strives for excellence. This is where the products of Contessa Entellina and Pantelleria converge for refinement (in steel, cement and oak) and bottling. 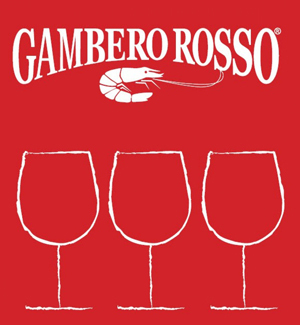 These processes are conducted with simple technologies that respect the intrinsic qualities of the musts and wines. Since temperature control is so important to every production stage, the cellars have air-conditioned, insulated rooms for maximum energy savings. Also in line with the winery’s environmental policies, the underground barrique room is carved from tuff (porous volcanic rock). Before 30,63 € tax incl. Tasting Color: shiny yellow amber. Bouquet: intense, sunny and Mediterranean, apricot and peach notes, dried figs and honey, aromatic herbs. Taste: complex, perfect in the fusion of sweetness, softness and softness. From the Arabic term "Son of the Wind" because the wind sweeps constantly around the grape clusters on Pantelleria. And the island's winds bring with them a profusion of fragrances so powerful that you can touch them. An author label telling the love, the care and the effort of heroic viticulture on an island unique and fascinating. A fresh and enchanting portrait that reveals its essence.